LA Board of Supervisors to vote on the repeal of 1942 Support for Japanese American Incarceration | JACL PSW in Blogland! January 1942, the LA County Board of Supervisors voted to pass a resolution urging the President Franklin D. Roosevelt and the US Congress to proceed with the incarceration of Japanese Americans as soon as possible. Shortly a couple weeks later on February 19, 1942, President Roosevelt issued Executive Order 9066 which incarcerated over 150,000+ Japanese Americans and placed them into American Concentration Camps. This was the direct result of the war time hysteria and xenophobia. 70 years later, the LA County Board of Supervisors is attempting to right that wrong. 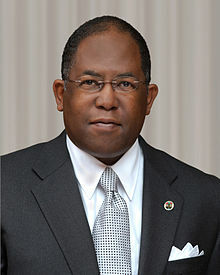 On June 6, LA County Board Supervisor Mark Ridley-Thomas will be introducing a motion to repeal that resolution. Although this resolution may be 70 years too late and can not make up for the injustice that has already been done, it can be a good first step in making amends. Its important for our government to take responsibilities for it’s mistakes. Informed by the history of Japanese Americans during WWII, it is also equally important for our community to move forward. This motion will also highlight the progress made by Japanese American in the City of Los Angeles in over coming institutional racisim. The Chief Executive Officer of Los Angeles County, William T. Fujioka, and the Board’s Executive Officer, Sachi Hamai, for example, are both Japanese Americans. In addition this motion can also serve as an educational reminder about the blemish in US history . With the post-9/11 aftermath and the legalization of indefinite detention by NDAA, its important that we remember this history so it can never be repeated again. I, personally, commend Supervisor Mark Ridley-Thomas for his courage and his actions in introducing his motion. Here’s motion presented by Supervisor Mark Ridley-Thomas. Check out Supervisor Mark Ridley-Thomas’s thoughts on the Repealing of the 1942 Resolution.